Our KALAA electronic signature solution is compatible with the Microsoft & Adobe suite. It enables dematerialized documents to be electronically signed using a certificate containing the identity of the signatory, the issuing authority and its fingerprint. 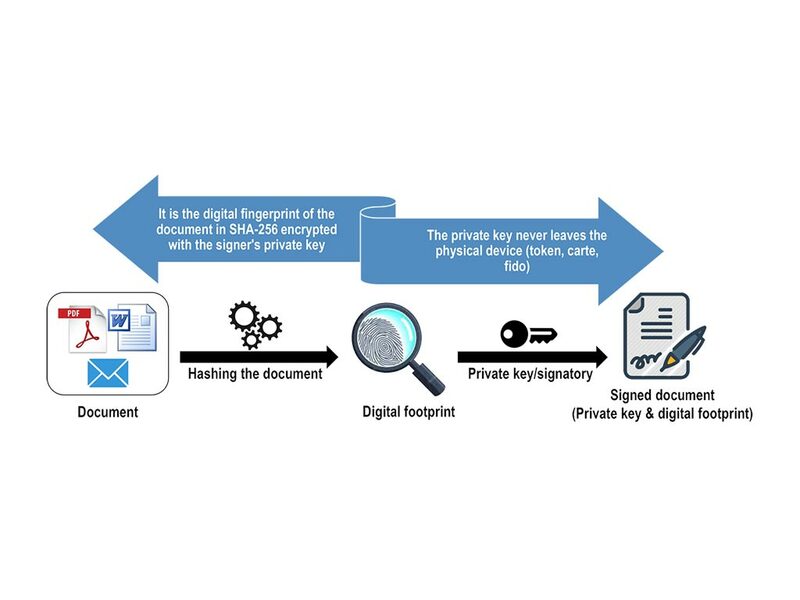 With the cryptographic USB key containing the signatory's private key, each document is signed and hashed in SAHA-256 in order to generate a unique digital fingerprint of the signer of the document. Based on our PKI proprietary solution "KALAA"
Tamper-proof: the signature cannot be falsified. Nobody can take the identity of another. Non-reusable: the signature is not reusable. It is part of the signed document and cannot be moved to another document. Unalterable: a signed document cannot be altered once signed. Irrevocable: the person who signed cannot deny it. Added probative value to your electronic exchanges.